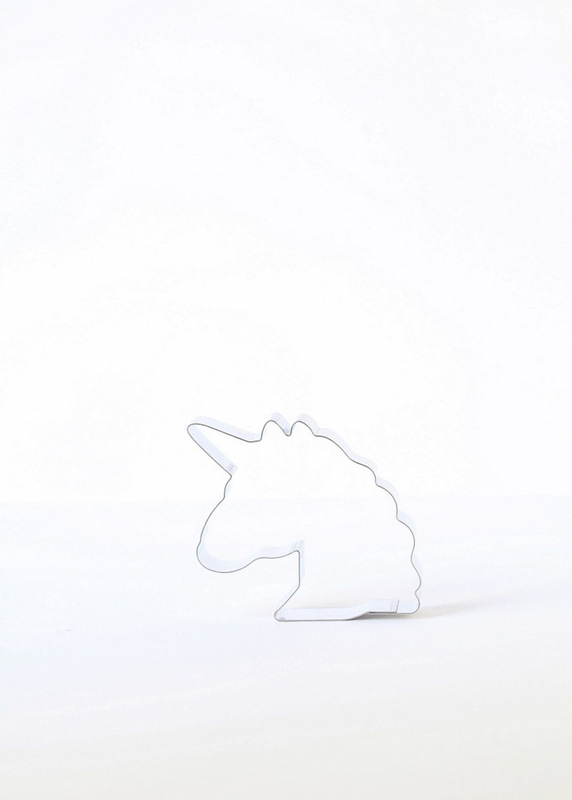 Make magical cookies and sweet treats with this Posh Little Designs exclusive unicorn cookie cutter! This shape is inspired by the unicorn emoji and will certainly give your cookies a unique touch with the one of a kind design and shape. Give them away as unique party favors, or create darling treats for your bakery and/or posh celebrations and events. Perfect for all your magical party themes. Each purchase includes 1 brand new unicorn cookie cutter made from high quality and very sturdy stainless steel. A safe material that you can trust. 3″ inches tall 3 inches wide, 3/4 inches in depth. This cookie cutter is also reversible! PLEASE NOTE: cutters are NOT dishwasher safe and should only be wiped with a damp cloth for cleaning. Do not submerge in water, dry immediately after cleaning.